One of the big motivators for new property investors is New Zealand's DIY ethic; they can work on the property themselves, fixing it, doing it up, just as they do with their own homes. On one hand this is not a bad thing. On the other hand it's very easy to lose sight of the investment aspect – that your time and energy has a value and therefore becomes a cost. 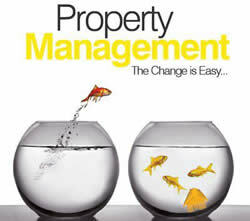 Professional Property Managers work in the best interest of the property owner. They remove the emotional attachment. We can help you enjoy maximum returns on your investment, and keep your weekends free for family and fun. To download our Property Management Authority Form, please click here. 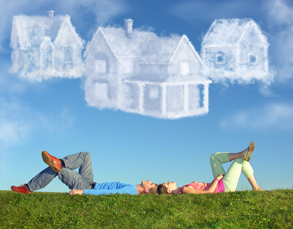 Why choose Karen Johnson Property Management Ltd to look after your investment? 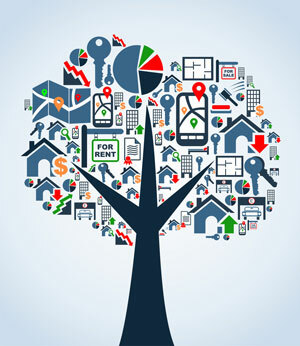 As you consider your property management options, remember the benefits that Karen Johnson Property Management can give you…..
We are specialists in Property Management, we are dedicated professionals that won’t be distracted by a sales division and you won’t be treated to second tier service. Property Management is what we do, we pride ourselves in providing excellence across all aspects of Property Management. Benefit from having only the best people in the business manage your investment. The systems we use to manage your investment are backed by cutting edge technology. We have local area knowledge. Collection, receipting and remittance of the rent to your nominated bank account by electronic funds transfer. Maintenance of your property. Authorisation and management of repairs by tradesperson(s) at very competitive rates. Detailed inspections completed at least three times each year with additional inspections available if you require them. We will send you detailed monthly statements that are easy to understand. We can send your statements to you via email. At the end of the financial year we will provide you with a detailed income and expenditure statement for your property. Our inspections are completed at regular intervals with periodic inspections occurring a minimum of three times per year. We will provide you with a detailed condition report and itemise any required maintenance for your authority after each inspection. At the end of each tenancy we will inspect your property and ensure that the tenant leaves the property in its original condition (fair wear and tear excepted). 1. What would it cost to have Karen Johnson Property Management Ltd manage my property? The management fee is charged on the rents collected on your property. This fee is 9% plus GST. There are no other charges, i.e. postage fees, inspection fees, attendance at tribunal hearings etc. 2. Does Karen Johnson Property Management Ltd provide a letting service only? 3. Does Karen Johnson Property Management Ltd provide casual property management for short periods of time? 4. How can Karen Johnson Property Management Ltd ensure that my property is not let to undesirable tenants? We are professionals. It is in our best interest to get the best fit for you and the tenant. We will spend time working out your preferred profile of tenant even if it turns out to be a very finite group of people. 5. How does advertising for a tenant work? Who pays for that? Advertising for a tenant is our responsibility. Images and information relating to your property are included on our website, which potential tenants can view daily and sign up for our property email alerts. 6. How does a potential tenant view a property they are interested in? They can either phone or email us for viewing details. 7. What does Karen Johnson Property Management Ltd do if a tenant misses their rent payments? If the rent is not received the next day….. a letter 14 day notice is generated in conjunction with the Property Manager attempting to contact the tenant directly (often the tenant is not aware that an Automatic Payment for example is missed). The 14 day letter gives the tenant time to correct the missed payment/s. An application to Tenancy Services can be made at the same time the 14 day letter is generated, however the mediators will not schedule a mediation or tribunal hearing until this notice expires. Once a mediation or hearing is scheduled and attended the result is decided as to whether a consequential clause is agreed to where by a tenant pays rent plus an amount towards the arrears weekly or termination of tenancy is made. 8. What does a tenant need to accompany their application? A copy of some photographed ID along with previous rental references. 9. How much does a tenant pay to move into the property? The first weeks rent and four weeks bond. 10. Does the tenant need to pay GST on rent? No, GST is not payable. 11. Does the tenant need insurance? 12. How does the tenant pay their rent? The tenant completes an automatic payment authority, which is taken to the bank so we know it has been loaded. Cash payments aren't encouraged; however a deposit book can be allocated if necessary. 13. How often can the rent be increased? Under the Residential Tenancies Act rent cannot be increased more than once every 180 days and the Landlord must give the tenant 60 days written notice of this increase. 14. How often can I inspect my property? As frequently as required. However, you are required to issue 48 hours’ notice prior to an inspection and they may be made between the hours of 8am and 7pm. 15. What does a tenant do if something needs repairing in the property? Contact the office by telephone or email to advise of the problem. A contractor will be notified of the issue and contact made with the tenant to arrange a suitable time to repair the problem. 16. What happens if I decide to sell my property? The tenant will be issued with a letter stating your intentions. After this the Property Manager will talk to the tenant about suitable access for potential purchasers and with their agreement, form a plan for this arrangement. In many cases investment properties pass onto other investors and the Property Manager can provide advice on this matter. If the property is sold and the purchaser requires vacant possession, the tenant will be issued with 42 days written notice. Should the tenant wish to leave earlier they are bound by the Residential Tenancies Act to provide you with 21 days written notice. 17. What happens if the owners want to move back in? If you or a family member wish to occupy the property, 42 days written notice must be given. Should the tenant wish to leave earlier they are bound by the Residential Tenancies act to provide 21 days written notice. 18. What happens if the owner just wants the current tenant out? The owner or his agent must give the tenant 90 days written notice to vacate the property. Should the tenant wish to leave earlier they are bound by the Residential Tenancies act to provide 21 days written notice to the Landlord. 19. How much notice does the tenant need to give if they want to move? The tenant is required to provide 21 days written notice to the landlord that they are vacating the property. They are bound by the Residential Tenancies Act to pay rent up until this date - the only exception being if the property can be re-tenanted prior to this date. The landlord cannot double charge rent on a property. 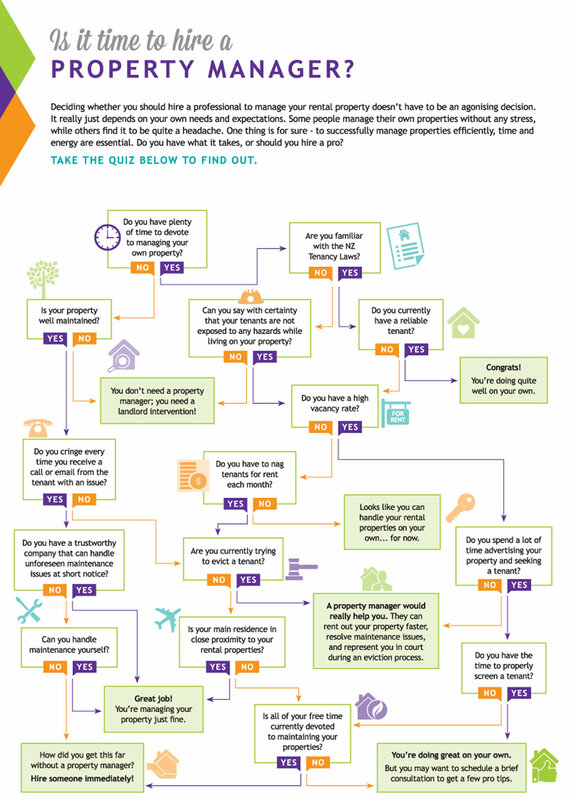 What’s your rental property really worth? 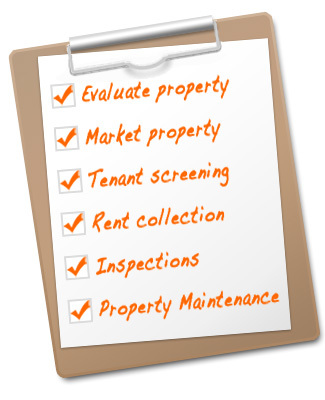 In many cases we can supply rental property appraisals without on-site inspections. This is especially useful if your property is currently tenanted. In order for us to provide an accurate rental appraisal, first we'll need to know more about your property. Simply fill out the form here and your answers will allow us identify the property to ensure we understand its features and condition. If you're looking at purchasing a property… giving us the reference number enables us to look at it online. If you already use a Property Manager, you might want to consider switching to us in this area. Switching is easy - we take care of all the paperwork and also notify tenants. Download our Change Of Agency Form here. 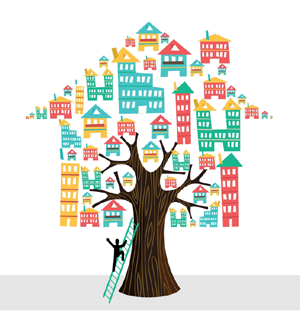 We realise that not everyone requires the services of a full time property manager. So we have tailored a specific service for landlords who require a professional letting agent to find them a tenant but would like to continue managing the property themselves. This one off letting service gives you the ability to screen all applicants and have the final say on tenant selection without the stress, hassle of doing it yourself. Finding a tenant for a rental property can often be an expensive and time consuming task. By the time you have paid for advertising, screened calls, conducted open homes, then reference and credit checked applicants, you can still be left wondering if you’ve made the right choice. By using the services of a professional letting agent, you know that your property is getting the best possible exposure to prospective tenants and most importantly that their background rental history is being thoroughly checked. At Karen Johnson Property Management Ltd one of the core services we provide is the ability to quickly and effectively advertise and tenant vacant rental properties. We have the tools and systems in place that allow us to provide a comprehensive letting service while giving you the freedom to still have the final say on tenant selection. We collect from the tenant: 4 weeks bond, 1st weeks rent. What is my Investment to use your casual letting service? If a landlord is going to be absent from New Zealand for more than 21 consecutive days, they must appoint a New Zealand based agent, notify their tenants of the agents’ details and the Bond Centre, if a bond is held. It is an unlawful act if a landlord does not appoint an agent if they are out of New Zealand for longer than 21 consecutive days. At Karen Johnson Property Management Ltd we want to make sure you are minimising any risk to yourself as an Owner. We also want to make sure your investment property and tenants are well looked after when you cannot be around to do it yourself. We have a special service for when you are out of the country, or if you need us to act as your agent for a short period of time while you cannot.